If you’re looking for a slim, comprehensive book of spiritual resources for Advent and Christmas, I have the book for you. 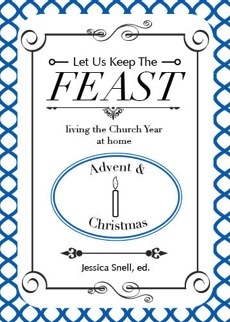 Let Us Keep the Feast is a four-volume set of resources to help people (like me) who are drawn to the liturgical calendar but who need a little help sorting through the details some of the practices. I love the subtitle to their series: “living the Church Year at home.” That’s exactly what I need help with. The first volume has just been published, covering Advent and Christmas, with “Epiphany and Lent” soon to follow. Having been raised Catholic, I have a special fondness for ritual and tradition — the candles, the incense, the repetition of words. In my college days, I rejected the high-church style as “empty religion,” but as I’ve grown older, I’ve come to appreciate the comforting predictability and deep meaning found in rituals. And when you add candles in the mix, it starts to feel really magical. Our non-wreath wreath: just candles, no greenery. This year, we’re adding a new candle for each day of Advent. Jon wonders if we actually have enough candles to last for twenty-five days, but I am confident it will work. Just nobody light their hair on fire! Although my Catholic roots have given me a fondness for the liturgical calendar, I didn’t get quite enough training to really know how to live it out. Maybe it just wasn’t taught, or maybe I simply wasn’t paying attention. 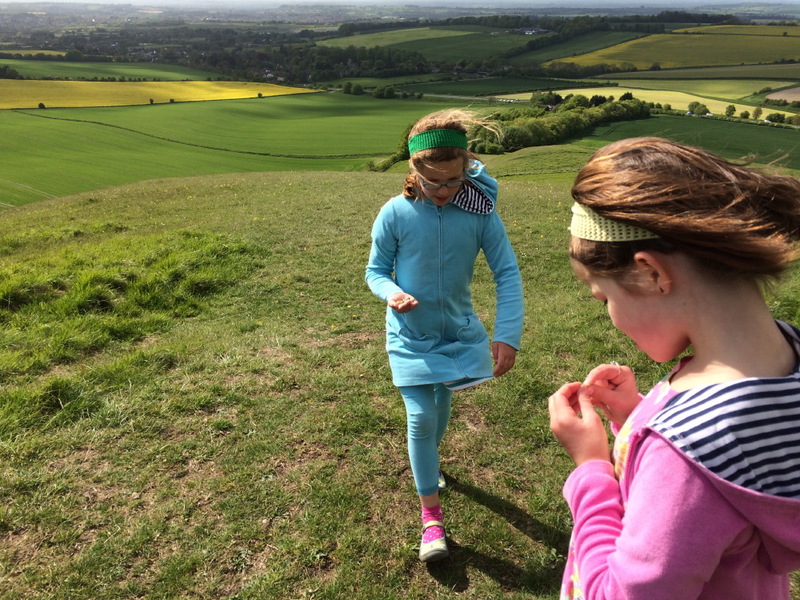 But I’ve longed for ways to help myself and my family focus on Jesus in special ways throughout the year, and particularly in the four weeks before Christmas. For those new to celebrating Advent, this may seem like a lot to take in, and perhaps overwhelming. These traditions are meant to enhance the time of preparation, not to take away from the focus of Advent. If making a Jesse Tree and an Advent wreath is too much for busy schedules, then don’t get stressed out trying to do both. If practicing many different traditions and activities distracts you from the theme of Advent — preparing for the coming of Christ — then it would be better to choose only one tradition and stick with it than trying to get everything done and get distracted from the true purpose of this season. These are just the words I needed to hear, as I am perpetually guilty of attempting to Do Everything during Advent and Christmas. I have already had a few meltdowns over the past few weeks (“We’re all out of flour!”), but even in my compulsion to Do Everything, Jesus has been meeting us in quiet moments. 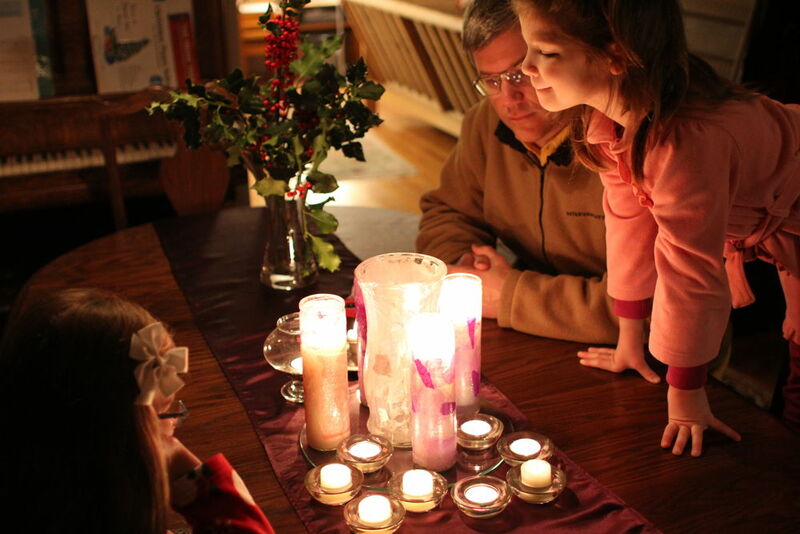 Most nights, we light Advent candles and listen to a short Scripture reading. (To encourage the attention of little ears, I offer two words to listen for in the text, like “angel” and “news.” This has helped a lot!) Then we open any Christmas cards that have come in the mail that day and pray for our friends. A simple ritual, and just what we need to focus our attention on Jesus after a long day of chocolate and Santa hats. I’m eager to see how we will use this book for celebrating the twelve days of Christmas as well. Lucy just asked the other day, “Will we light the white candle in the middle for only one day?” and was delighted to hear that we’ll be lighting the Christ candle not only on Christmas Day, but also for eleven days after that. Those candles might be the only Christmas decorations out on January 5, but they’ll be there! I’m delighted to be participating in a blog tour this year, sponsored by Doulos Resources. I’ll be reviewing each of the four volumes of Let Us Keep the Feast along the way. Let Us Keep the Feast is available at the Doulos Resources Store, where you can receive 15% off any version if you use the promotion code “LUKTFBlogTour.” You can also find the books at amazon.com, Barnes & Noble, and Kobo. Next PostNext Oh no! It’s a 2013 Boyd Mad Lib!